It should come as no surprise that the foods we eat affect the way our body functions. In traditional cultures, women start eating a fertility diet up to six months before they hope to conceive. 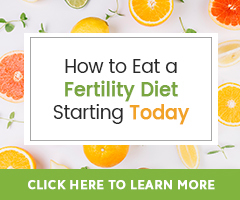 In modern society, a fertility diet is something many people have never even heard of, and yet it is one of the best ways to help prepare your body for conception and pregnancy. 1. Walnuts – the Romans believed that walnuts increased libido and sexual desire. Stewed walnuts were traditionally served at Roman weddings to bless the bride and groom with fertility. It was also traditional for the groom to throw walnuts at the guests to protect their fertility. Research has found that eating walnuts regularly can improve sperm health. 2. Maca root – the maca root is a root vegetable and medicinal herb traditionally used by tribes in Peru. Popular amongst the tribe for promoting fertility through increased energy, a boosted immune system, and increased libido, it has now spread across the globe. Maca root can be bought in powder form to be added to food and drink, or can be taken in capsule form. 3. Crappit heid – this historic dish was eaten by the wives of Gaelic fisherman living on the coasts of Scotland. Crappit heid is fish heads stuffed with oats and chopped liver, and is filled with fertility boosting vitamins. The fishermen, who had little money to spend on food, were very proud of this hearty and nutritious meal, and believed it would guarantee them strong, healthy babies. 4. Coconut – in India, coconut is believed to boost fertility. During wedding ceremonies, a coconut representing new life is traditionally placed in a pot representing the womb. This ritual is said to bring the couple fertility. In Gujarat, the bride gives the groom a coconut during the ceremony, and this coconut is treasured for life. 5. Fish roe – fish eggs command high prices here, but they were even more valuable to natives of the Andes over a hundred years ago. Tribes would send men to the sea to fish for the eggs. Once caught, the eggs would be dried out in the sun. The men would then carry the dried fish roe hundreds of miles back to their village in the mountains, to ensure the women of the tribe had this nutrient-rich delicacy. The fish eggs are packed with fertility nutrients, making them a popular fertility food across the globe. 6. Pastured eggs – eggs are considered to be an important food for health in China. Women are encouraged to eat as many as 10 eggs each day during pregnancy. Eggs play an important role in the Chinese preconception diet too, with women encouraged to increase their intake of this sacred food. The egg yolks are thought to be particularly nutritious, and contain a number of vitamins that boost fertility. 7. Bone marrow – this dish was popular amongst traditional communities from across the world. Bone marrow is a nutritionally dense food that contains high levels of fats and minerals. Marrow is eaten in stews and sauces, and can also be served on crackers if removed from the bone. 8. Yams – from the same family as sweet potatoes, wild yams are thought to boost fertility. There is a tribe in Africa with a higher than average rate of multiple births, who eat a diet high in yams. Yams can be purchased at specialist Caribbean and African stores. Some believe yams should only be eaten during the first two weeks of your menstrual cycle, and that no yams should be eaten once ovulation has occurred. 9. Fresh figs – the ancient Greeks believed that fresh figs could boost fertility. The shape of the fruit was thought to represent womanhood. Figs are high in magnesium and iron, two important minerals for fertility. Women are advised to boost both their magnesium and iron supplies before trying to conceive, and eating fresh figs could be the perfect way to do this. 10. Animal organs – hunter-gatherers in countries across the world would save the nutrient-rich organs for the tribal women of childbearing age. Liver, marrow, adrenal glands and blood are amongst the foods believed to boost fertility. These foods would be saved for the women in tribes from the Amazon, Africa, Canada and Australia.